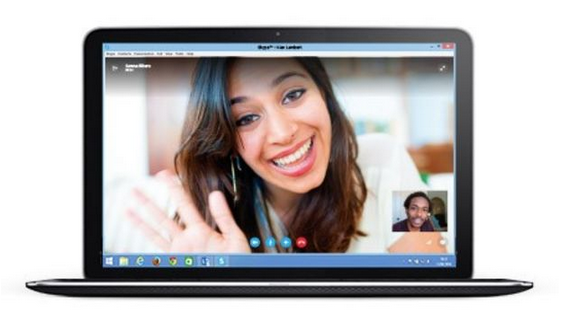 Microsoft announced that a web-based Skype program, which will be available on Google Chrome on Chromebooks and non-Windows platforms, is currently in the works. Skype has brought us a new way to video chat, voice chat, and instant message, all within our very own browsers. On November 11th, Microsoft announced that they are currently Beta testing a web-based Skype client. Microsoft also announced that there will be no requirement for additional software when using the browser-based version of Skype. However, if you're currently beta testing the client, you will be required to install a plugin for your browser. Skype for Web Beta will be compatible for both PC and Mac. Browsers such as Internet Explorer 10, Firefox, Google Chrome, and Safari, will have access to Skype on their browsers. As of now, unfortunately, Google Chrome support will only be seen on Windows based computers. No information on a web-based Skype version for Chromebook has been released to the public, it is not the big break Chromebook users have been waiting for to help users communicate with friends. From data that has been collected regarding how Skype has been running on browsers, Google Chrome outside of a Windows environment, is not on their list of things to do and won't be on that list for some time. Earlier this year, Microsoft created, and released a web-based plugin, which uses their service, Outlook, to give users the ability to video and voice chat, which also includes the ability to instant message friends and family, whenever you wish. This is the first time Skype has worked on any sort of web-based client project. Skype has announced that they will be working hard to make sure there is no need to install a plug-in on the end-users browser. The company has implemented Web RTC (Real-Time Communications), which should make sure that Skype will run smoothly on browsers. Mac users have already begun to report bugs within the new browser-based Skype client. Such as batter consumption problems and difficulties with calling their friends. Skype issued a statement saying that they are aware of the issues and are working diligently to eradicate them for the final release. Only a very limited amount of Skype users currently have access to the beta to the new Skype project, which will begin sometime today. Did you also want to participate in this beta? Do not worry! If you are interested in being a part of the beta, invitations to the beta will continue to be sent through the official Skype website. If you are curious, check to see if you have received a invitation to the beta! You can do so by signing into your account on Skype.com. A notification should be available telling you that you're eligible for the beta. It will also give all pertinent information that you would need to know. Such as how to get set up, or how to install the plugin. "It’s perfect if you prefer using the web rather than an app,"
"Perhaps you’re sitting at a computer that doesn’t already have Skype downloaded. Or maybe you’re on the go and using an internet café or hotel computer whilst on vacation where you can’t download Skype at all. Using Skype for Web makes it more convenient to get to your conversations." - Says Jonathan Watson, Skype product marketing manager.